Not only the meter-long adults crawling around the primordial ooze had circular mouths with radiating teeth: So did the kiddies. When and how life began on Earth is not clear, but it seems to be about 4 billion years ago. For hundreds of millions of years, early life remained microscopic and probably one-celled, as far as we know – fossils of that era are incredibly rare. Complex multicellular beings looking like fungi seem to begin about 2.4 billion years ago, but they remained primitive. Then about 540 million years ago came the Cambrian Explosion, a riot of speciation that birthed most of the major animal groups found in the fossil record. What caused this glorious explosion of life forms during about 20 or 25 million years isn't known either, but we do know for sure that among them were spectacular specimens, monster shrimp-like beings over a meter long. Among these early arthropods were a group called the Radiodonta – and yes, that does mean radiating teeth. The Radiodonta had round serrated mouths, spiny grasping appendages by their mouths, and were evidently the alpha predators of their time. 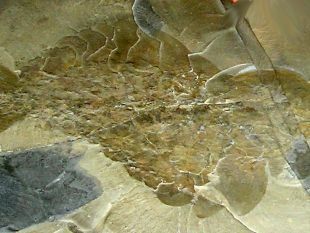 Now a study of exquisite fossils found in China, reported in National Science Review, has shown that adult Lyrarapax unguispinus wasn't only the radiodonta prowling the prehistoric seas for prey: Their tiny babies had the predatory equipment and were likely also proficient killers, reports Jianni Liu and the team from Northwest University of Xi'an. Frankly, one doesn't expect baby crocodiles to live on unicorn fur and flowers, or baby Radiodonta either, but it's good to have proof set in stone. Before you bless the deity that these giant shrimp-like beings with gaping fanged mouths are extinct, consider that animals living today have pharyngeal teeth, which means teeth in their throats, chiefly some amphibia and fish. But that's now, and 540 million years ago, the apex predators included the likes of Lyrarapax, and Anomalocaris, which was well over a meter long. We knew about Lyrarapax, but until now we knew almost nothing about its offspring, or their feeding habits. As said it's reasonable to assume that if mama Anomalocaris ate other arthropods, so did the kids. 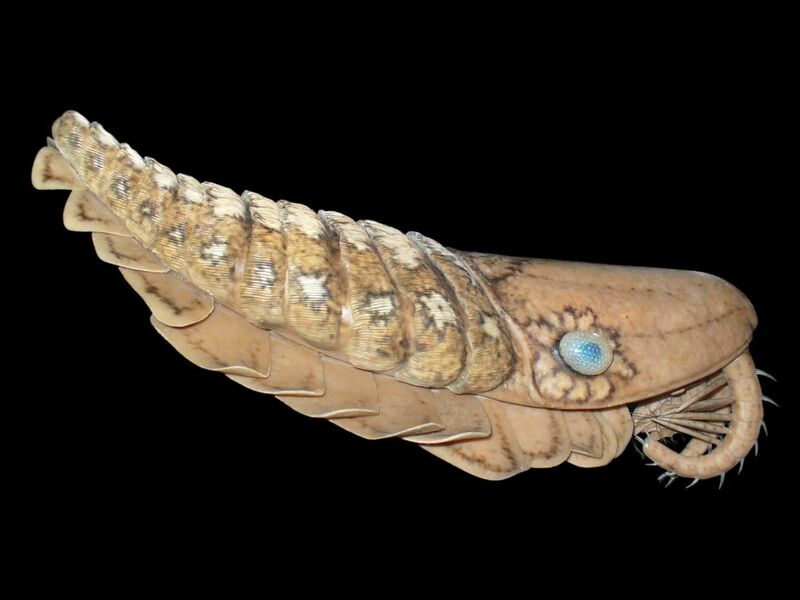 But now we know the dietary habits of the prehistoric arthropod set thanks to extraordinarily well-preserved fossil juvenile Lyrarapaxes paleontologists have dated to the early Cambrian, 518 million years ago, found in Chengjiang, China. The ancient infant, a mere 1.8 centimeters long, is the smallest radiodontan ever found. The research team professes itself surprised that the little'un had "extraordinarily well developed" features like the adult, notably the spiny grasping appendages. It was like a little toy Lyrarapax unguispinus but a complete one. In other words, either it was a miniature cousin of the bigger one, or it was indeed the child. Whichever, it was a well-equipped hunter. Shocked? 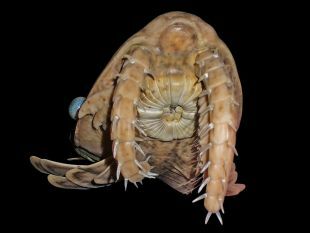 Well, the same goes for modern descendants of those ancient marine scuttling beings, which include the likes of spiders and predatory shrimp and insects. The babies don't grow up on milk or regurgitated goodies. And the discovery of the predatory baby proves what? That predation by juveniles appeared early on in the evolutionary history of arthropods. 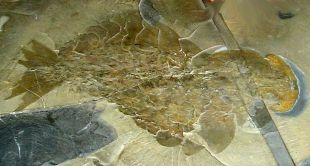 The discovery that the tiny baby predatory arthropods also hunted in the primordial ooze could explain a puzzle regarding the Cambrian explosion. Mutation and speciation can be driven by stresses, otherwise known as selective pressures. If the tiny baby giant creepy-crawlies were hunting the tiny babies of other creepy-crawlies, that would have added selective pressures – to the small fry being eaten, and to the predators, which would find their vicious selves in an evolutionary 'arms race'. And thus we would likely wind up with more species of prey and more species of predator half a billion years ago. Just food for thought.